What are the different ProtectionPlus levels of cover? We’ve kept our range of ProtectionPlus products simple to help keep your home warm and working. Whether it’s your boiler, central heating, plumbing or electrics, our ProtectionPlus cover helps you avoid the unexpected costs of breakdowns and so much more. 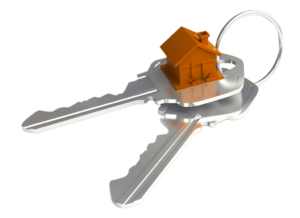 As well as all of the great services for home owners, we offer additional services for landlords including CP12 inspections and certifications. As part of your contract with us we provide landlords with a free landlord certificate on the boiler and gas installation of the property. Additional appliances will be charged at a rate of £2 per month per appliance. 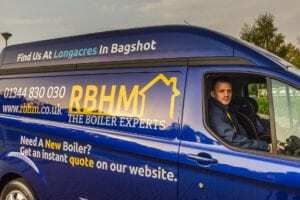 Inspections will take place at the same time as the annual boiler service. How does ProtectionPlus stack up against the competition? ProtectionPlus by RBHM is the most comprehensive and feature rich home maintenance package on the market today. Covering all of the essential elements of your home. We have designed this package to protect our customers from expensive maintenance bills by spreading the cost over a 12 month period. ProtectionPlus on every common service, parts and labour are included in just one small monthly payment. Landlords no longer need to spend time searching for professionals and receiving quotes to find a professional company who won’t charge through the roof. At the moment, ProtectionPlus is only offered in East Berkshire, Surrey and Middlesex. Including Ascot, Sunninghill, Staines, Egham, Slough, Windsor, Bracknell and all of the surrounding areas. We limit where we offer our services as this has been a very popular service and we need to ensure that we can give our best levels of service to existing customers before we expand further. Please get in touch if we’re not in your area and we may be able to tell you more about when it will become available to you. From here you can view, print or download the ProtectionPlus Range Of Services. If you have any questions about our service and how it compares to our competition, contact us on 01344 830 030 or email us at [email protected] and we’ll provide you with all of the details you need.